I have been checking on the caterpillar twice a day since I brought him in the house. 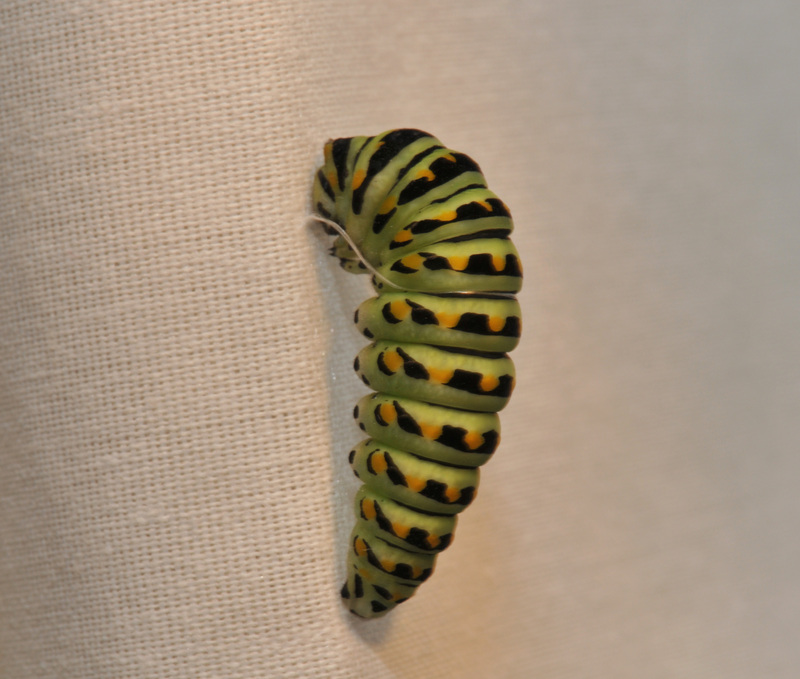 He had consumed most of the Dill I put him on, a lot of droppings too (who knew caterpillars could produce that much). Two days ago he did a disappearing act. He couldn’t be found either on the Dill or on the pot. I was worried. I thought he might have dropped down between the heater and the wall when a piece of the dill broke. I searched the whole area around the bay window for him. Nowhere to be found, until I searched the back of the curtains. There he was, hanging two and a half feet above the window sill. He had crawled five and a half feet, three feet from the pot and two and a half up the curtain, to find a place to pupate. He had already spun a silk thread safety line to suspend himself from the curtain and lifted his feet off the surface. Tied himself to the curtain with a silk thread. 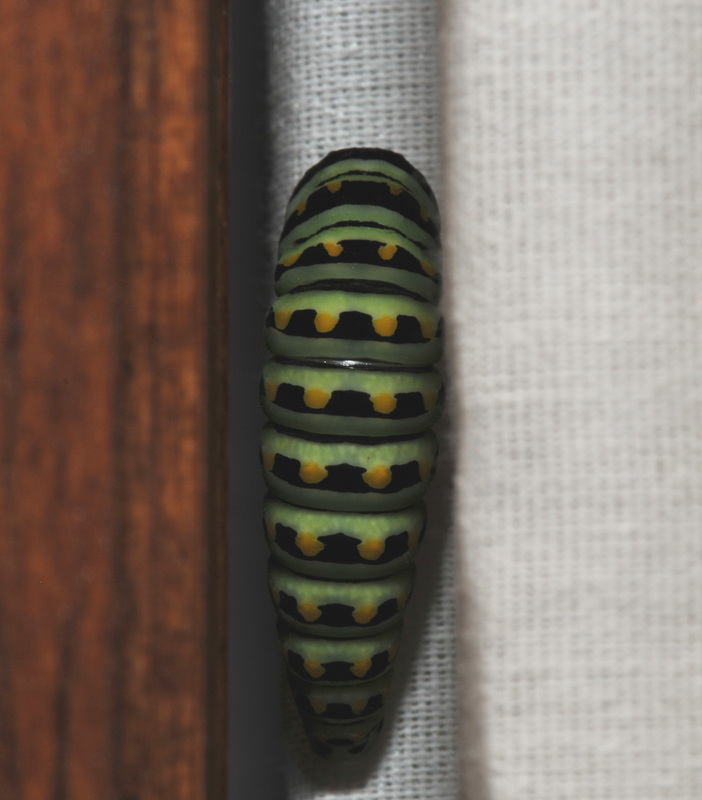 If I had known that they wander that far off in search of a place to pupate, I would have put him a fish tank with comestibles and sticks built for pupating caterpillar comfort. Now all I have to do is figure out how to get him out of the house after he becomes a Black Swallowtail butterfly without harming him in the process.